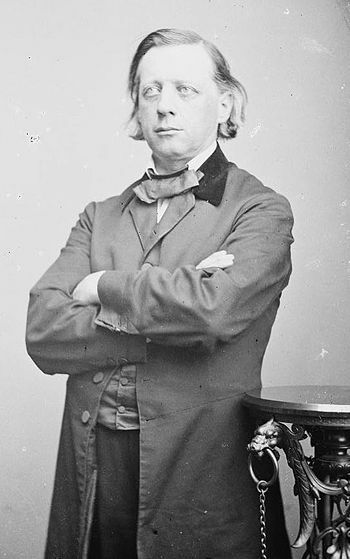 In honor of Henry Ward Beecher, American Congregationalist clergyman and reformer, who died on this day in 1887. Theology will do no good without the great Teacher who changes first the heart and mind. Theology reveals the heart of God but not to a stone-cold heart and darkened mind. I think Beecher created a straw argument for himself. “Right living will produce right thinking” is the opposite of the Christian message. Jesus said ‘Repent, for the kingdom of God is at hand’ — repent means ‘change your thinking’. Again, Jesus said ‘This is eternal life, that they know you, the one true living God and Christ Jesus whom you have sent.’ The Gospel is theology, or ‘knowing God’. Knowing God through Christ will produce changed lives, not the other way round. A great big AMEN to this!